28 Luxury Rooms, tastefully heritage style designed overlooking Ranthambore National Park hills. Wondering where to Stay in Ranthambore? Ranthambore Mount Valley Resort is the best among all the resorts in Ranthambore which welcomes everyone and makes you will feel relaxed, nurtured, at home. It is one of the best hotels offering special packages for Individual travelers, family, groups and corporate. Explore the nature around you by Jeep Safari, Tiger Safari, Bird Watching, Boating, Fort & Temple and wildlife photography on our regular safaris and field trips. Cozily nuzzled amidst the enchanting surroundings of breathtaking hilly terrain beside the dense forest of the famous Ranthambore National Park, the beautiful Mount Valley resort offers the lavish and tranquil holiday away from the hustle and bustle of the city life. 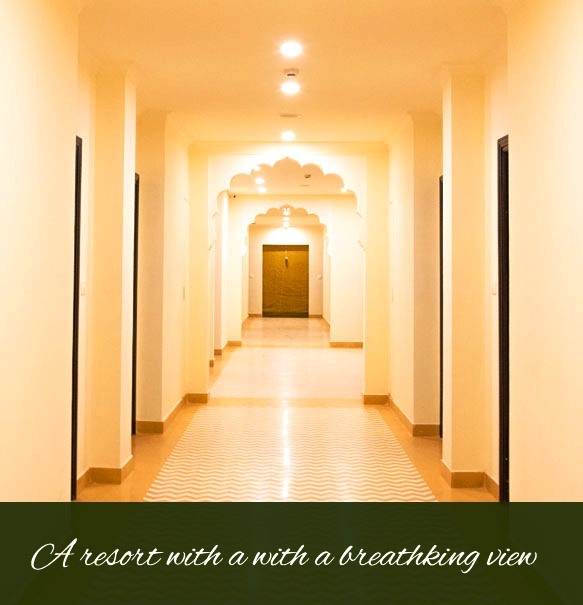 It is a royal Heritage retreat with exemplary modern amenities and services.